8000 UAH/t. - from 2 t.
represents colourless crystal powder, soluble in water with warming up, it is insoluble in the majority of organic solvents. It is hygroscopic. On air absorbs moisture and carbonic acid with formation of NaHCO3 acid salt, at storage it slezhivatsya in the open air. Water solutions have strongly alkaline reaction, form crystalline hydrates. Density: 2,53 g/cm ³-. Fusion point 852 ° - C.
In the nature soda ash meets in sol of some seaweed, and also in the form of the following minerals: nakhkolit, throne, will rub (soda), termonatrit. Now industrial way of receiving soda ash is the so-called way to Solva. In saturated solution of sodium chloride pass ekvimolyarny amounts of gaseous ammonia and carbon dioxide. The dropped-out rest of slightly soluble hydrosodium carbonate is filtered and calcinated (dehydrate) heating to 140-160 ° - C, at the same time it passes into sodium carbonate. The formed carbon dioxide and the ammonia emitted from mother solution at the first stage of process on reaction return in production cycle. Depending on appointment technical soda ash is made two brands: And (granulated) and B (powdery). 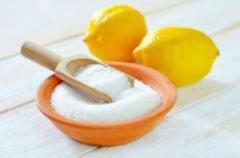 Use of soda ash (sodium carbonic). Soda ash has wide range of application in technology processes of different industries, such as electronic, glass, pulp-and-paper, oil processing, chemical, petrochemical, metallurgical. 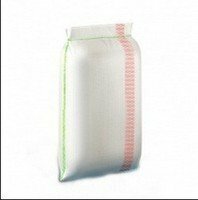 The soda calcinated is used also as detergent, well scuds, softens water, and also neutralizes acid components in drains. It is also applied to softening of water during the washing and boiling of fabrics, washing of the porcelain, faience, enameled ware and other economic and household purposes. Widely advertized means "-the Calgon" - from scum in washing machines, consists of tripolyphosphate of sodium and the soda calcinated. In the food industry (food supplement of E500) it is used as the regulator of acidity, baking powder and emulsifier. In detail: - History, the description, production and use of soda ash . Unbelievable price on The soda calcinated sodium carbonic, sodium carbonate in Kharkov (Ukraine) company Harkovtorgservis, OOO.